What Google’s Native Ads Say About the Future of Content Marketing | ASTRALCOM - Content Strategy, Conversion Marketing and Customer Acquisition. 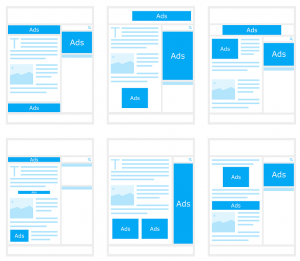 Recently, Google has launched a significant enhancement to its AdSense product. AdSense is the platform which serves Google ads that you encounter on a publisher’s website. For the first time, there are now 3 native content ad formats. These are the in feed, in article, and matched ads. This can be viewed as a big breakthrough for all content marketers. According to Forrester, U.S. content marketers spent over $10 billion on content marketing efforts in 2016. 39% of them of them have plans to expand their spending in this area over the next year. The content marketing industry is indeed thriving, and Google has reacted accordingly. Marketers will now be able to distribute content directly through Google’s network. This will allow advertisers to fully exploit Google’s exceptional targeting capabilities. Progress can be better measured due to seamless integration with Google Analytics as well as other tools. These new AdSense units will offer stronger competition to social media sites like Facebook, LinkedIn, and Twitter. In the past, native content distribution options were greatly restricted. With the launch of these 3 new native formats for AdSense, Google now provides a more effective solution for content marketing. In a recent post on the AdSense blog, Google has indicated typical reasons why people visit websites. These include getting questions answered, resolving problems in their lives, or finding inspiration. Quality content – that effectively addresses these main reasons – always wins the day. This will be the case regardless of the location of the content, whether it be via native ads or other platforms. Newscred has an informative article about Google’s rollout of the new native content ad formats. Click here to read Shafqat Islam’s take on what this may mean for content marketers going forward. ASTRALCOM has been helping businesses to develop effective digital marketing strategies for many years. Our partners at Google actively help us to better understand changes in Google services and how they affect our clients. In turn, we transfer that knowledge to our clients and together we make smarter marketing decisions. In addition, we integrate proper analysis of metrics and intelligence to maximize the effectiveness of content marketing strategies. More detailed information about how we can help may be found here. To get started, or for any inquiries, get in touch with us today!